It has been an extremely busy week here at my house. I might only be able to post once a week and occasionally twice a week. Anyway, for this MaTh edition I will be focusing on CCSS 3.NBT.A.2! 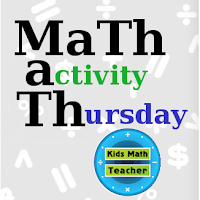 This standard expects 3rd graders to: Fluently add and subtract within 1000 using strategies and algorithms based on place value, properties of operations, and/or the relationship between addition and subtraction. So, let's take these two methods, knowing strategies and knowing algorithms. A strategy is defined as a plan of action or policy designed to achieve a major or overall aim. So to me, knowing strategies is like knowing shortcuts and all the rules behind how to work on a problem to get the answer. Algorithm is defined as a process or set of rules to be followed in calculations or other problem-solving operations. This is knowing the steps to be taken (like regrouping). It is important for children to have both strategies and algorithms. If kids only know the algorithms and not the concepts or strategies math will become difficult. 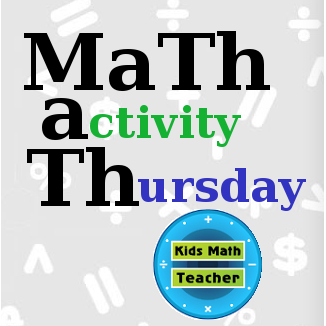 So here are some past posts that can help kids understand place value to help them add and subtract. I recommend if children struggle with this reinforce two digit numbers and even one digit numbers and make sure they understand the place values by understanding quantities with those values. What ideas or math activities do you have to share? I like this for teaching financing new construction my kiddos, thanks! I do tend to change numbers up to do mental math. Once it became a natural thing to do, it got so much easier.